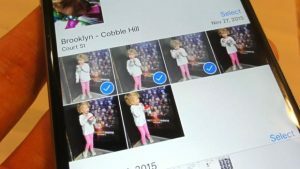 Frustrated by the confusing Moments and Collections in the new Photos app for iOS? Forget ’em. Instead, let’s head back to a tried-and-true way to organize your snapshots: plain-old photo albums. 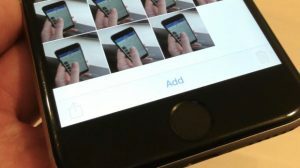 Believe it or not, photo albums are still a thing in the iOS Photos app, and they’re relatively easy to create and manage. Just select a few photos, then tap “Add To” to shuffle them into an album. Launch the Photos app from your iPhone’s or iPad’s home screen, tap the Albums tab, select All Photos, then tap Select. Now, it’s time to pick some photos. Tap a few—as many as you like—then press the “Add To” button at the bottom (on an iPhone) or top (on an iPad) of the screen. Next, you’ll see a list of albums into which you can shuffle your selected photos. Go ahead and tap one (the grayed-out albums, like Panoramas, Videos, and Screenshots, are automatically created and managed by the Photos app)—and when you do, the photos you selected will fly directly into the album. Done. Want to create a new photo album first and then start adding photos to it? No problem. From the Album screen, tap the “+” button sitting on the top-left corner of the screen. Time to select photos, starting with images from your Moments. Tap some snapshots to select them, then tap Done when you’re finished. If you don’t want to browse Moments for photos, you can always tap the Albums tab to select images from one of your albums, including All Photos. To add photos to an existing album, tap Select, then Add. Tap the Albums tab, then open an album by tapping it. Tap Select, then Add, then pick some photos from Moments, Collections, or from the albums tab. When you’re finished selecting pictures, tap Done. Last but not least, you can rearrange or delete your photo albums whenever you like. 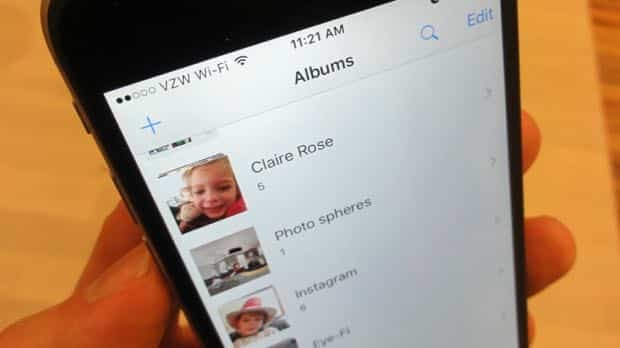 On an iPhone, tap the Albums tab, tap Edit, then tap the red button to the left of an album to delete it, or drag the three-line “handle” to the right of an album to move it up or down. Oh, and one more thing: Keep in mind that you can delete an album without trashing the photos inside it.